Choose Sixt to rent a luxury car in Madrid for our brand new fleet, seamless booking system and excellent customer service. Centrally located in the heart of Spain, Madrid’s cosmopolitan lifestyle and energetic pace make the city an excellent destination for a beautifully designed luxury car rental. Centuries of investment in the arts have given Madrid an incredible array of galleries and museums hosting both homegrown and international artists, the nightlife is vibrant and the culinary culture takes influence from the whole of Spain and beyond. With our premium brands of sports cars, convertibles and SUVs you can enjoy cruising the city in a luxurious vehicle by leading manufacturers such as Mercedes, Jaguar and Audi. 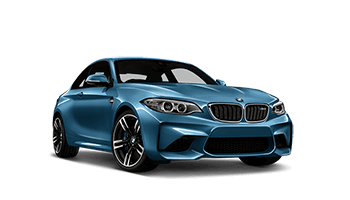 Rent a luxury car rental for the sheer fun of driving a sporty and responsive vehicle, beautifully designed and equipped with the latest features. Feel the warm Spanish wind in a convertible sports car, or stretch out in a spacious and robust SUV. Our exotic car rentals have beautifully designed interiors, with seating made from fine materials and the latest inbuilt infotainment and driver assist systems. Our luxury cars are equipped with premium safety features such as extra airbags, parking distance control and rollover pop-up bars. Rent a convertible in Madrid with Sixt and enjoy an unparalleled rental experience, from our fast and efficient booking service to returning your vehicle at our convenient locations. Our speedy online booking system lets you make browse exotic car rentals, make reservations in advance and tailor your luxury car rental with practical add-ons. Take your pick from our extra protection options designed for added security and peace of mind, and check out our add-ons such as additional drivers and GPS navigation systems that offer practical solutions to your mobility needs. Our excellent customer service will get you on the road quickly and efficiently, leaving you to enjoy your luxury car rental in Madrid. And discover more stations here.